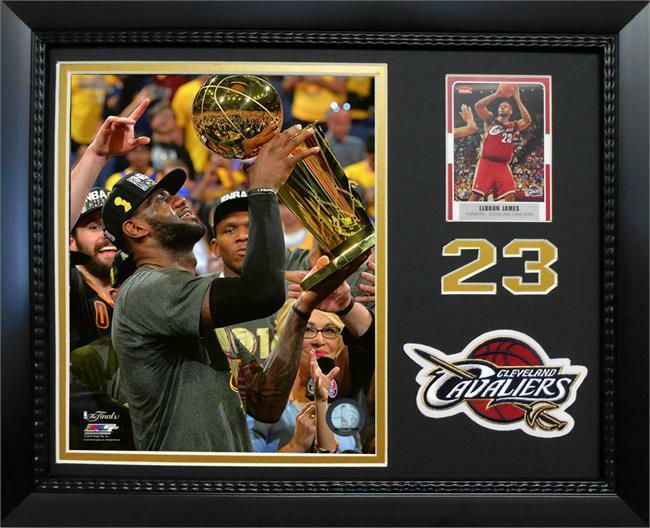 Licensed 8x10 photo of NBA Superstar LeBron James of the Cleveland Cavaliers. 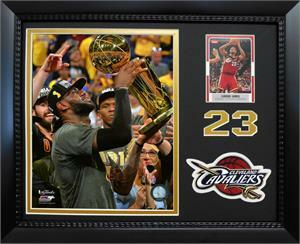 This piece of sports memorabilia also includes a trading card(Card May Vary) and a team patch. All pieces are double matted and installed in a ready to hang frame.